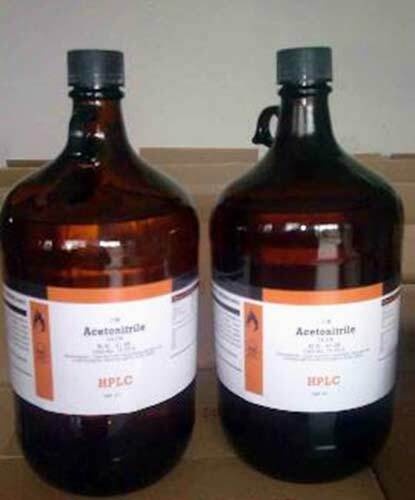 We are proud to introduce ourselves as one of the most promising Acetonitrile Manufacturers and Exporters, based in India. Ideally used as a polar aprotic solvent in purification of butadiene, the Acetonitrile that we offer is produced mainly as a byproduct of acrylonitrile manufacture. In the laboratory, it is used as a medium-polarity solvent that is miscible with water and has a convenient liquid range. Moreover, the clients can avail this simplest organic nitrile at very affordable prices in the markets.